* * Be sure to reserve your cabin in addition to your ferry tickets when calling the NCTours hotline 6214 2822, as available cabins are first come first served. * * Players who intend to use existing free cabin vouchers are not eligible for the promotions. Interested kakis please post your forum nick and name on this thread. Remember to call NCTours hotline 6214 2822 to reserve your cabin and ferry ticket. Is it true that the main event is 1R + 1A and its $130+$20? Why such a weird structure? Ain't the main event suppose to be freezeout? principally to strike a balance between affordability and prize pool attractiveness. LWPS V: The Fabulous $100 Weekend! 1) wat's 1R+1A.. R means rebuy? how abt A? 2) How about the free cabin thingy? The 2nd nite free means for the next LWPS, the cabin is free? or I must stay 2 nites for this LWPS? 3) What time does all the events start? If i leave on 22nd (Sat) morning will i be late? 4) The cabins are all sharing rite? So if I am coming alone, I will be sharing with other people? 5) What events will there be beside the main event? 6) How much will the main event be and any max quota for the number of players? Sorry ah. So many questions, I too blur about this liao. It will be great if some regulars at the LWPS can help me out. Can make new friends too! 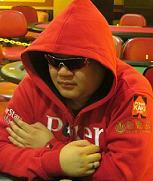 Sorry 1 more question.. For the freeroll must I be a user on dafa to join like in LWPS IV? Or anyone can enter? 6) How much will the main event be and any max quota for the number of players? Read above answer for first part. eleester wrote: Sorry 1 more question.. For the freeroll must I be a user on dafa to join like in LWPS IV? Or anyone can enter? I just realized the bounty shootout is missing this time round..wanted to play that.